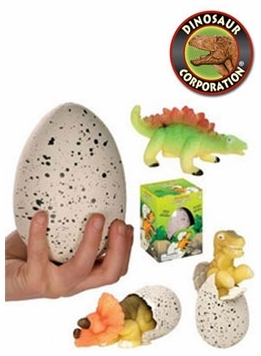 Large dinosaur eggs with growing dinosaur figure inside. A perfect educational project for kids loving dinosaurs. Hatching dinosaur egg toy in the water! Have fun watching a growing baby dinosaur break out of its own egg!